Drug users' experience and insights have been vastly undervalued in the opioid crisis, says the B.C. Centre for Disease Control. The B.C. Centre for Disease Control report, released Wednesday, was based on input from a meeting in June of 160 people including drug users, law enforcement personnel, the province's mental health and addictions minister, researchers and the medical community. The report is aimed at health authorities and other organizations to consult and ultimately empower so-called peers who have past or present experience with substance use as experts, who can provide insights into how policies and programs, such as harm-reduction services, can be applied. Karen Ward, a longtime cocaine user who attended the gathering in June, was consulted for the centre's report and said drug users' knowledge has been vastly undervalued. "A friend of mine trains the new employees, who then go off to be her boss," said Ward, whose friend works at an overdose prevention site. "It's empowering, definitely, but it is tokenizing. You can see that in the inconsistency in pay and the ad hoc nature of the arrangements." 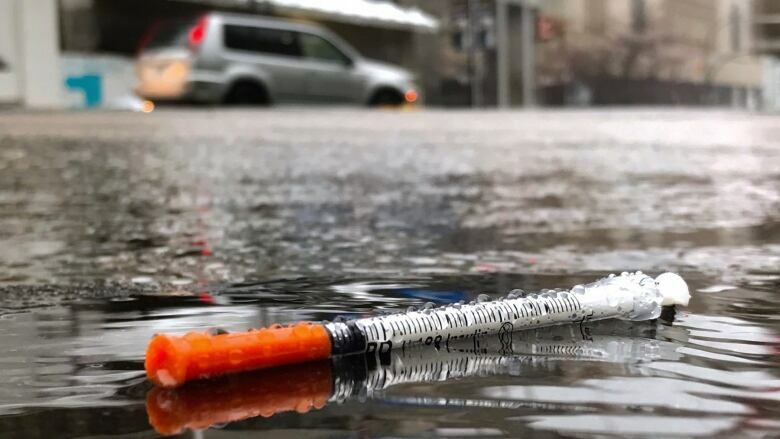 Drug users may have to form associations or unions to work on getting proper protections, said Ward, a former secretary of the board for the Vancouver Area Network of Drug Users (VANDU). "Just the consciousness of understanding themselves as workers is a new thing," she said. VANDU executive director Marion Allaart said some people who work at the organization's overdose prevention site earn $7 per hour, but it has decided to pay them more while they await action on the report. Allaart said it's often challenging to hire people who continue to use drugs because they sometimes fail to show up for their shifts. "Some people have been addicted since they were 14. We have an aging population in the Downtown Eastside and that makes a difference to how successful they can be," she said. The B.C. Centre for Disease Control's report calls for payment standards across the province, along with stable and fair employment to ensure a good quality of life and support for the rights of workers. A report released in February included feedback from peers, who said they did not want to be paid by cheque or a coupon and asked for an honorarium for attending meetings of drug users. Wednesday's report says involvement of Indigenous drug users, who are over-represented in the overdose crisis, should be encouraged. "Be more inclusive of Indigenous perspectives, both within and outside of our organizations, through meaningful engagement during the planning process and follow-up for events and activities," it says. Ward said she agrees with Dr. Mark Tyndall, the centre's executive medical director, who believes a safer drug supply is needed alongside the reform of outdated drug laws to prevent overdoses in the first place. "I talk to folks all over the country who are tying to set up [overdose prevention] sites and are working in them all the time. We need these desperately to keep people alive but these are not the solution to anything. These are salves, not a remedy," Ward said. "People need to find a way to live rather than just not die."